Vice President Yemi Osinbajo, would embark on a three-nation tour to address potential investors on the country’s ease-of-doing business among others. First stop would be in Berlin, Germany, on Monday where he would be addressing notable German business leaders. 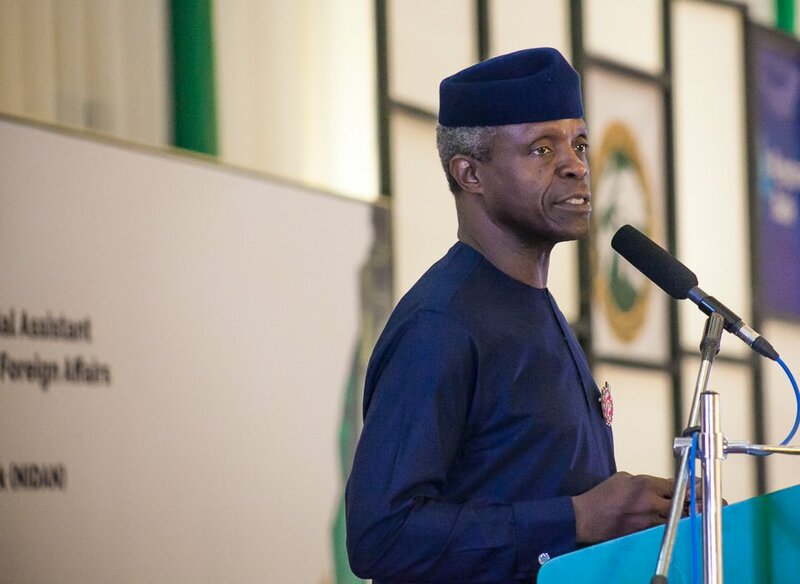 In a statement, Senior Special Assistant to the President on Media and Publicity, Office of the Vice President, Laolu Akande, said Osinbajo would be speaking on the potential of the Nigerian market and the gains recorded through its Ease of Doing Business reforms. Akande noted that the Muhammadu Buhari administration’s Ease of Doing Business reforms has helped in improving the country’s ranking in the World Bank’s Doing Business Index 2017, where Nigeria climbed up 24 places and was listed among the 10 most reformed economies globally. He quoted the World Bank as noting that Nigeria made significant progress across several indicators including starting a business, dealing with construction permits, getting electricity, registering property, getting credit, protecting minority investors, paying taxes, trading across borders, enforcing contracts, and resolving insolvency. “The Berlin business interactions with the Vice President is being organised by the Nigerian Embassy in Berlin, in conjunction with the German-African Business Association (Afrika-Verein), and the meetings will consolidate on the outcome of the German Chancellor, Angela Merkel’s visit to Nigeria in August, earlier this year. “During the trip, the Vice President would, among other engagements, meet with key German financial sector executives with interest in investing in Nigeria, and others business leaders in sectors, including agricultural seeds production, technology and renewable energy,” Akande said. He would then proceed to Cairo, Egypt, where he would be representing President Muhammadu Buhari later in the week at the First Intra-African Fair (IATF), which would be taking place in Cairo from December 11–17, 2018. Osinbajo would be accompanied on the trip by government officials of relevant agencies; he is expected back in the country on Thursday.